The Vector 880 is designed to allow a glaziers to unload, transport and install large plates of glass with extreme precision. 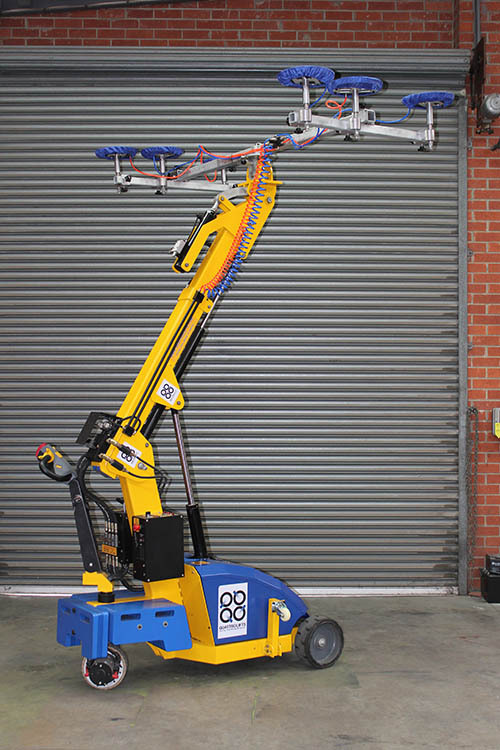 It has a lifting capacity of 400 Kg’s (880 Lbs) with a dual vacuum system designed for performance. Handling glass plates and windows can be a back breaker due to the weight and dimension of the plates, well not any more. 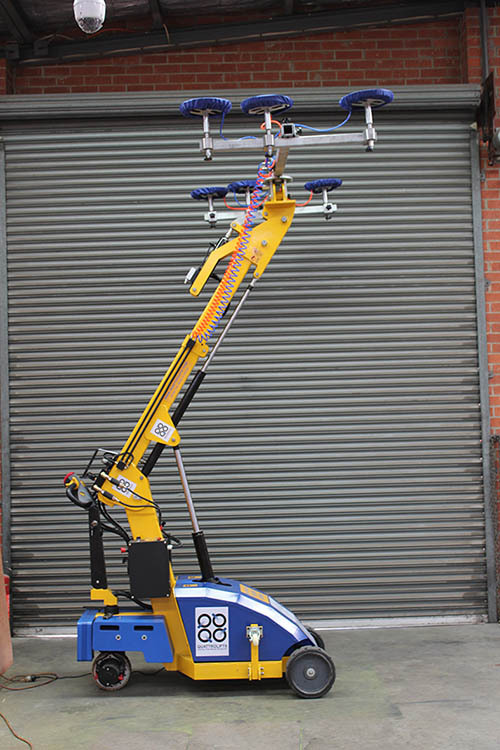 With the Vectors self propelled mechanism, moving and rotating heavy loads is now extremely easy. The vector 400 can move large panels of glass on a variety of angles, and will ensure the safety of your team in shop and on site.